The learning of information and skills presented in class lectures or discussions should be viewed as a process: preparation to take in the new information, the act of taking in the new information, and then reviewing the information so that it is later accessible (recalled from memory) to use for a project, paper, or test. The activities suggested for “Before Class” in Table 5-2 help students develop a mental framework into which this new information can be “filed” or organized which aids information recall (Bower, Clark, Lesgold, & Winzenz, 1969). It also makes note taking easier because you are familiar with the material and feel less panicked about getting everything noted in full detail. Attending class and taking the notes is important primarily because the professor may be presenting information that is not presented in the text. It should also be seen as a structured opportunity to engage with the material that will further aid recall when needed. Oftentimes, students can also get clues as to what a professor perceives as important material from attending class that will aid in test preparation. Adapted from Dembo Sell (2008) and Downing (2008). Complete assigned readings to prepare for class. Take notes or mark your text for easy reference. Take notes. Active engagement with the material (like writing down what you are hearing) helps improve memory and concentration and material to later review. Have a positive mindset about taking notes you are writing down answers to questions on the test.” Review your notes and handouts within 24 hours of taking them. Fill in details that you remember but did not have time to write down. Write questions for the notes that you can use for self-testing later. Write a summary of the day’s notes. Prepare questions that you may have about the reading. Put a date on your note paper. It helps to also include the text chapter or general topic that might be related to these notes as well. Compare your notes with a reliable classmate who may help give you ideas on what you missed that might be important or how to better organize the information. Discuss the notes to add another-layer of processing. Review notes from the previous class period to get a sense of where you may have left off. Use active listening techniques. Refer to the informational box called “Ten Tips for Active Listening” for more information. Follow up on questions that you have written down with your professor, the teaching assistant, or another reliable classmate. Be sure you have your materials ready for class: text, three-ring notebook with paper, writing utensils, highlighters, charged laptop, etc. Have your textbook accessible in case your faculty member refers to specific information. Write down that reference in your notes as it is probably important information. Integrate your class notes with your text notes or markings. If you highlighted in your book, add some of that information to your notes for the “whole” picture. Make it a habit to attend every class. Put your classes on your schedule and treat them as a limited opportunity to engage with your professor and this material. Use abbreviations for commonly used words to increase your speed in note taking. Create some abbreviations of your own. Self-test your comprehension of the information on an ongoing basis. Do not just “look over” or read what you have written. Use the questions you have created. Cover up the “answer” and see if you can explain what is in the notes. Use the cram cards or visual diagrams to test yourself. Leave space between main points so that you can add in new information that you may have missed or from the text. If the professor writes it down or puts it on a PowerPoint slide, it is probably important, so write it down. If the professor repeats it, it is important, so write it down. Listen for cues like “very important,” “in summary,” or sequence words like “first,” “second,” etc. This information provides cues for what is important and possible note organization. Ask questions you may have. If you are not comfortable talking in class, write them down and talk with your professor later. 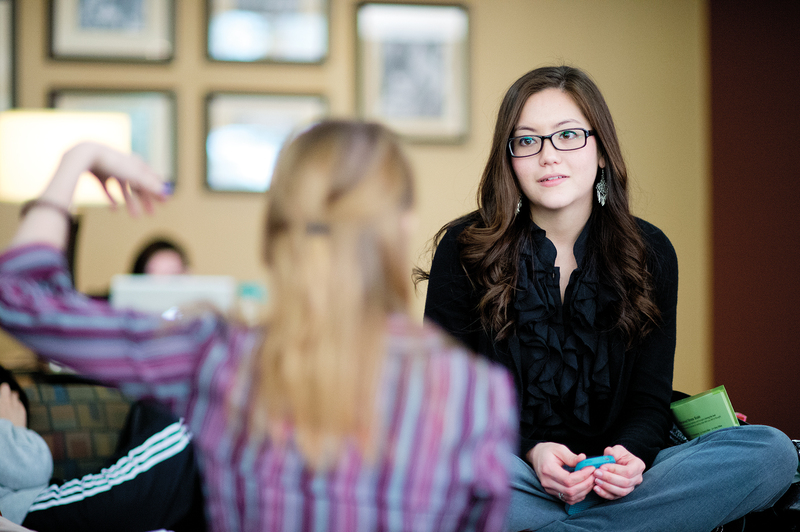 Effective note taking in class requires the use of active listening techniques for optimal results. Accept responsibility as a listener. Adopt a positive attitude toward listening. Listening is a choice. Sit somewhere in the classroom that will minimize distractions and allow you to focus on the professor. Maintain eye contact with your professor. Focus on the content being presented rather than the delivery. Ask mental questions and search for the answer in the lecture or discussion. Avoid emotional involvement that may impair your ability to concentrate or filter important information. Clue in on non-verbal communication, such as exaggerated movements, excitement, etc., as it may serve as a cue to important information. Monitor your concentration throughout the class period and continually refocus. Adapted from Kline (2002) and Treuer (2006). Note-Taking Methods: What Is Right for You? The Outline Method provides a running list of statements that capture the main ideas and supporting ideas for the main points. The highest level of main idea is justified on the left, followed by the next level of supporting ideas that are right indented, followed by the next level of supporting ideas that are further indented, etc. The statements you write down at each level could be key phrases or could utilize the Sentence Method of note taking (see below). It is key for students who utilize the Outline Method to avoid getting so immersed in the “proper” number method for outlining that they lose sight of the information; use a simple numbering or bulleted method. This method is ideal for note taking while reading or listening to a lecturer with a highly structured presentation style. The Cornell Method is a well-known note-taking method that not only encourages documentation of information but also builds in critical thinking and self-testing methods for future review of the material. The Cornell Method requires that students set aside a “cue column” on the left side of the paper that is about 2 1⁄2 inches of the left side of the paper. Notes are taken on the right side of the paper using whatever methods students choose to utilize. After class, a summary of the lecture is written to ensure a review of the material and main points to be considered and expressed. 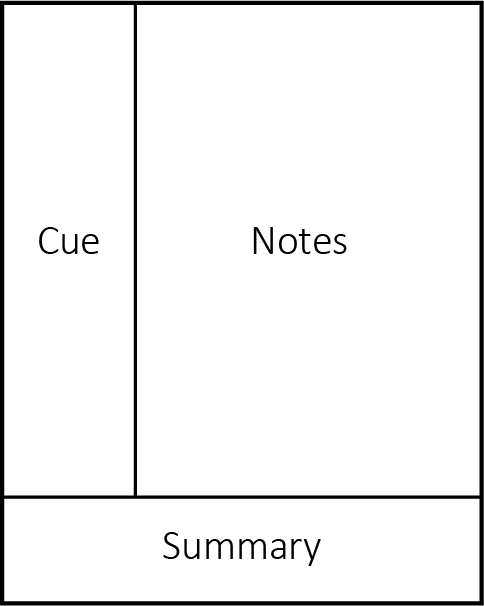 In the cue column, students are encouraged to develop questions regarding the adjacent notes. Consider Bloom’s Taxonomy as you develop questions to ensure that you are not only developing Knowledge and Comprehension questions, but also including higher-level questions that you might anticipate on an exam. Later, this format can be used for self-testing. Cover up the answer on the right side of the page, and then ask yourself to answer the question on the left side. Check your answer and determine where you have holes in your knowledge to help focus further review. If you search Google for Cornell Note Taking, you can find Web sites that will generate the Cornell paper format for you to print, though drawing a line on notebook paper works perfectly fine. For this method, students split their notebook paper in half with a line in the middle. On the left side, students take notes from their course reading, and on the right side, they take notes in class for the corresponding text material. This method allows for easy integration of material from both sources. The Mapping Method represents the lecture in a visual or graphic format. It helps to utilize 11 ̋ 17 ̋ inch paper or 8 1⁄2 ̋ 11 ̋ inch paper in landscape profile. Students should start with documenting the main idea and placing that in the center of the paper. Then additional ideas feed off of that center point in a hierarchical manner. It allows students to see quickly the main point and relationships to follow. Typically, it is better if students stick with brief statements—one or two words—that capture the ideas. Mapping Methods are also useful to summarize notes taken in another method. This is a simple method in which students write down a main point, fact, or topic, each on separate lines, numbering as they go. 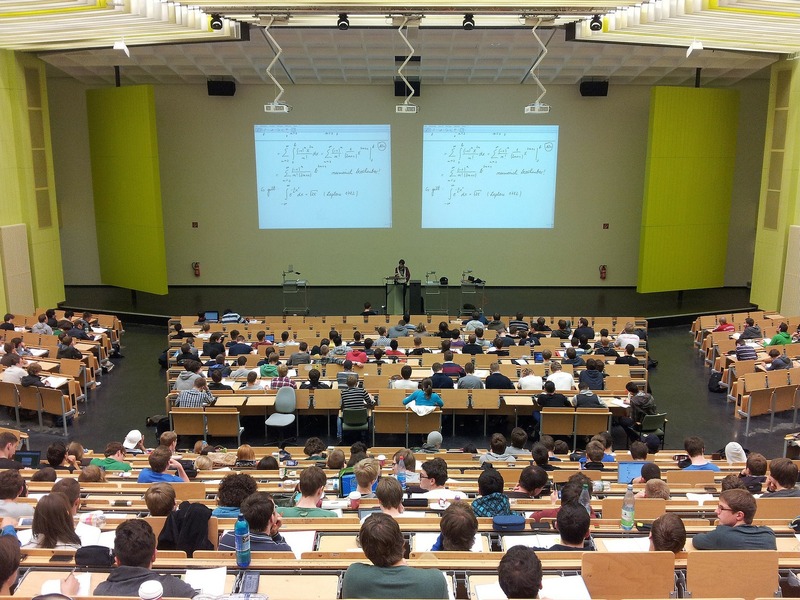 It is a useful technique when a lecture is somewhat organized and material is presented at a fast pace. However, relationships may be lost without reorganization of notes at a later time. You may start with a particular method described above. However, as you become more skilled in your note taking abilities, you may begin combining methodologies to suit the type of information that is being presented. For instance, you may start off the session using the Sentence Method but then use the Mapping Method as you see a pattern emerge in a new concept that is conducive to mapping. You may opt to use the Outline Method in your Political Science course, because the faculty member presents a very organized lecture and use the Text-Class Integration Method in your Math class so that you can see parallel steps between examples from the textbook and the class. The key is to try out some of the different methods and use what works for you. Oftentimes, students make the mistake of doing nothing special with hand- outs and notes taken from class until a night or two before an exam. Research indicates that students are able to learn and recall information more readily if they have repeated exposure to material over a longer period of time (Baddeley, 1982; Bahrick & Hall, 1991). In addition, actively reviewing material immediately after the information is presented aids recall tremendously. As you continually review information, keep in mind that it is not good enough to read over information passively. Students need to actively self-test themselves to avoid falling prey to the illusion of knowing (i.e., person thinks that they know something when in fact it is only familiar to them). Developing questions that range the levels of Bloom’s taxonomy will aid reviewing and preparation for exams. Try using the Cornell Note-Taking Method in at least two of your courses for one week. Reflect on how the method worked for you. Are there adjustments that you might make to the system to make it work better for you? Does the system seem to work better in some subjects? With different types of presentation styles?